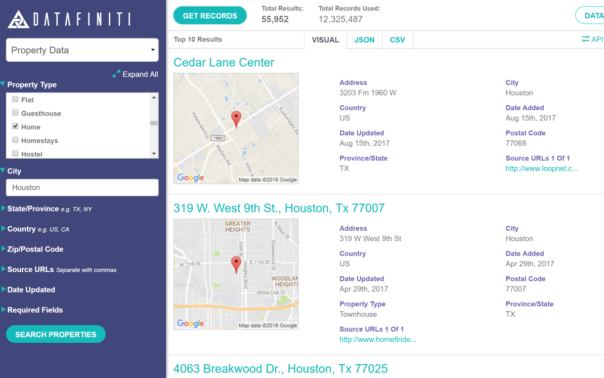 Purchase property data sets or use our property data API to access a large catalog of real estate listings from dozens of websites. Integrate with pricing data, amenities, reviews, and more. 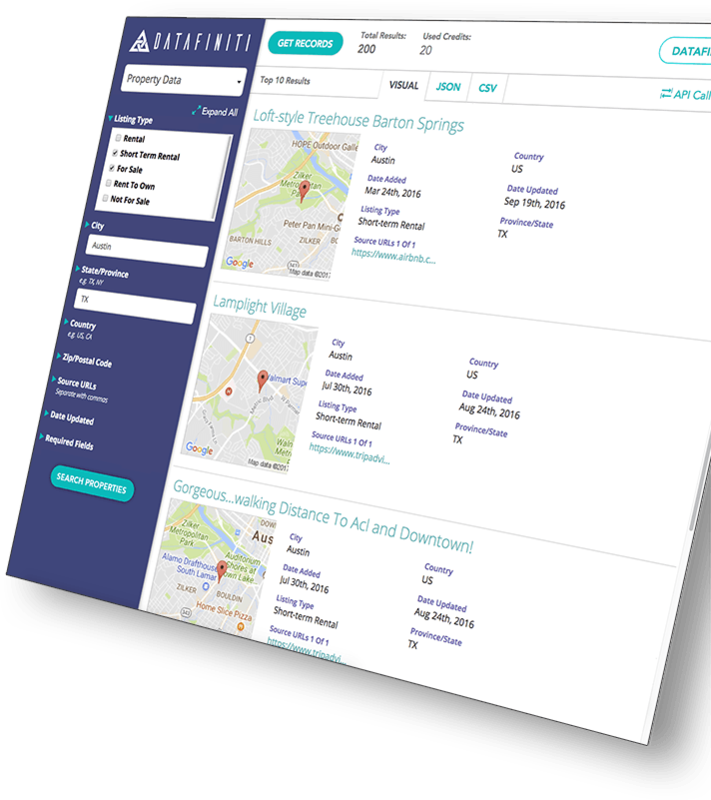 Access over 30 million property listings with detailed data from around the web. 1 million records are added or updated within the data set every day. Customers can request to add niche websites to our database to meet specific property data needs. Our web portal lets you quickly download datasets for specific markets, listing types, and other criteria. 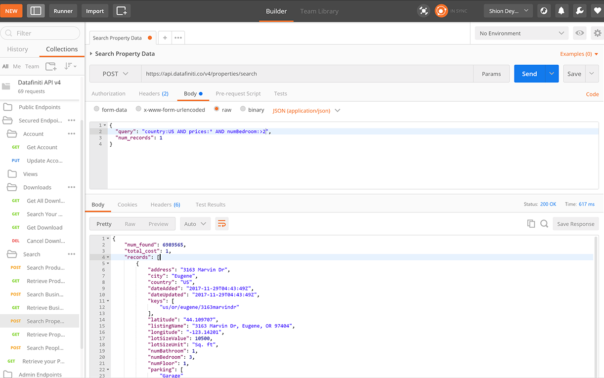 Our API connects your application to real-time property data and seamlessly integrates with your code. 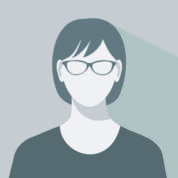 Makes on-demand queries as often as you’d like – you’re only limited to the number of individual properties you retrieve. A rich yet intuitive query syntax lets you drill down to the exact property information you need. Search 30 different fields to filter data specific to your needs. 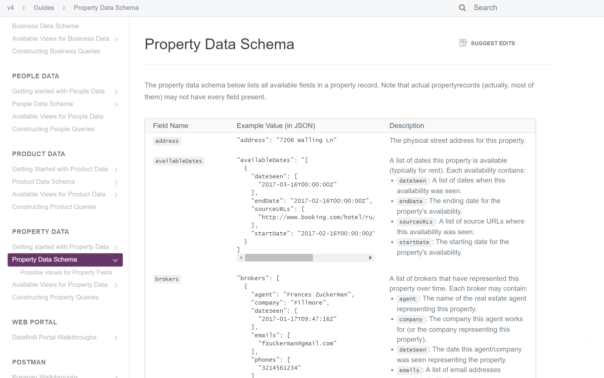 View our Property Data Schema to learn about available fields.